Taking a page out of the Seth Brundle Guide to Experimentation. Pursuing everlasting youth has always been the stuff of legends and fantasies since man first began dreaming. Whether it’s because of fear, greed, or simply a thirst for knowledge, people have been finding ways to make this dream a reality. The mad scientist we’re talking about was Anatoli Brouchkov, a geocryologist working at the Moscow State University. According to Motherboard, he’s a soft-spoken guy with silver hair that, at first glance, seems to be incapable of doing such a crazy thing—just because he was curious! And what did happen? He says he’s feeling better than ever, healthier, and that he’s become less tired after the experiment. He also claims that he hasn’t had the flu in more than two years! “I started to work longer, I’ve never had a flu for the last two years,” Brouchkov told The Siberian Times. Of course, these claims may or may not have anything to do with the bacteria. 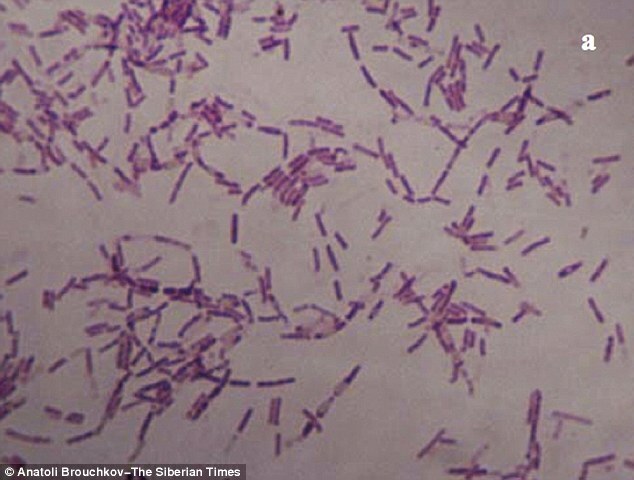 The bacteria Bacillus F, found in permafrost, is thought to be 3.5 million years old. The 3.5 million-year-old strain of bacteria, known as Bacillus F, was acquired from a section of permafrost at Mammoth Mountain in Sibera’s Yakutsk. According to Brouchkov’s study, Bacillus F has a certain mechanism which has enabled it to remain alive in permafrost for millions of years—believing that this could be used to extend human life, too. How the bacteria’s mechanism works, though, still remains unknown due to the extremely complex structure of such ancient organisms.